The Lab Los Angeles is Mixmag and Smirnoff Sound Collective's weekly post-work unwind where we stream only the finest American and international DJs, live and direct from our Downtown LA office. This Friday, we welcome Attlas and Matt Lange. After enigmatically rising in the scene under the alias Attlas, many were convinced that the faceless, undeniably talented mau5trap signee was simply a brand new Deadmau5 project. Now, most are aware that Canada's Jeff Hartford is at the helm of the Attlas project. A few months out from his 'Sin' EP, Attlas landed back in Los Angeles to take on The Lab LA. Matt Lange provides a more sinister take on the electronic spectrum, a quality that allowed him to be hand-selected by the mau5trap head himself as a signee, where he released his debut full-length LP 'Ephemera' earlier in 2015. Channeling a lifetime of musical influences ranging from singing in a boy's choir to joining a metal band, Lange found his calling in production after assisting BT on his Grammy-nominated 'These Hopeful Machines'. Matt Lange showed us what he's made of in The Lab LA last Friday. The Lab LA is strongly powered by Void Acoustics. 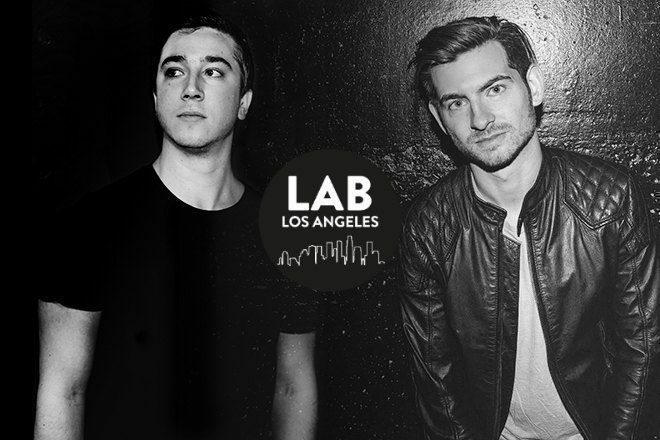 Subscribe to Mixmag TV and tune in below to watch Attlas and Matt Lange in The Lab LA.